Hidropoint, LLC has many years in production and sales of pumps, motors, electronic controllers, switches and electrical products. The main products are various types of pump systems, motors, float switches, antifreeze faucets, drilling devices, and other household water treatment equipment. Hidropoint offers best water solutions to worldwide customers. HidroPoint, LLC. 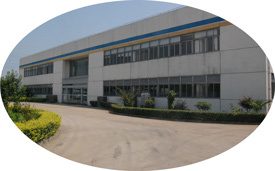 owns over 15,000 square meters workshop and has over 350 engineers and employees.